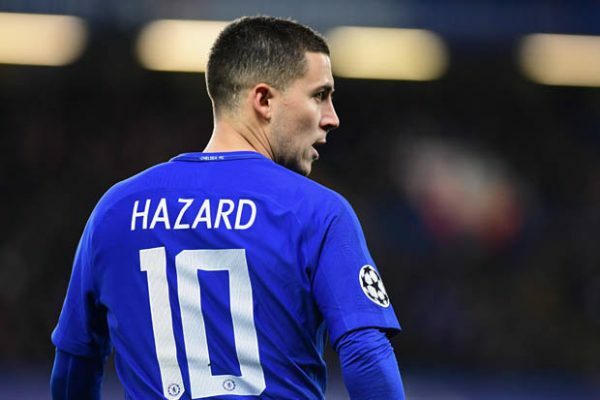 Chelsea are prepared to try and block La Liga giants Real Madrid’s efforts to land Eden Hazard this summer window even though they will run the risk of losing the key man for nothing. Los Blancos are expected to launch a £70 million offer to sign Belgium international Eden after re-appointing Zinedine Zidane as coach. But the stumbling block is that the Blues are facing a two-window transfer ban meaning that the club will not be able to replace Eden, who they value at around £100 million. American forward Christian Pulisic’s arrival from German club Borussia Dortmund in the summer window could ease the board’s worries. But it is possible that the Blues will do everything in their power to resist any efforts from the Spanish heavyweights to launch a bid for the star. Eden has been stalling on penning a new contract with the Blues worth over £300,000 per week – despite negotiations are ongoing for the last year. He has revealed that it is his dream to switch to Madrid, who are prepared to splash out big in the upcoming transfer market this summer after a highly disappointing campaign. Express Sport understands Los Blancos could be ready to spend as much as £300 million over the summer transfer market to back Zinedine’s aims of winning La Liga and a fourth UCL crown. Real Madrid are out of European football’s top club tournament and have a very slim chance of winning the league title this season. French manager could sanction a clear-out at Real Madrid, with Gareth Bale, Marcelo and Isco tripped to move on.